Walking through Bill Richardson Transport World in Invercargill I overheard someone say to his mate “You could spend a month in here”, “Yeah, I could”, the mate replied. He obviously really likes trucks, I don’t particularly but I’d been at Transport World for two hours and there was still plenty to see. 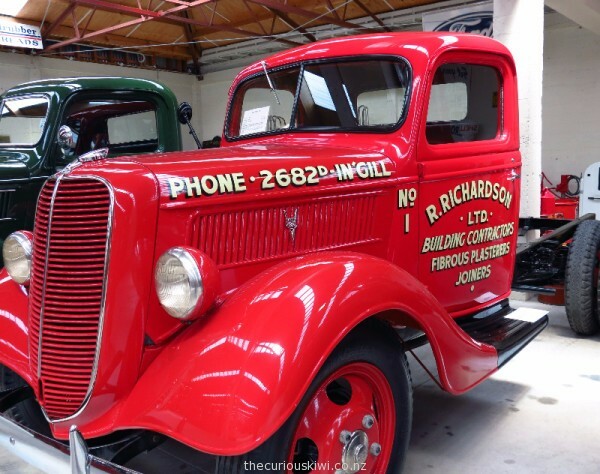 Bill Richardson was a Southland businessman with a passion for trucks, he bought his first from his grandfather in 1967 – a 1933 International D1. In 1976 his collection of trucks and transport memorabilia started to grow, and as word spread about the contents of what became known as ‘Bill’s Shed’, he started to show people around. Prior to his sudden death in 2005 Bill had commented “I hope when I die someone will be interested enough to carry it on”. 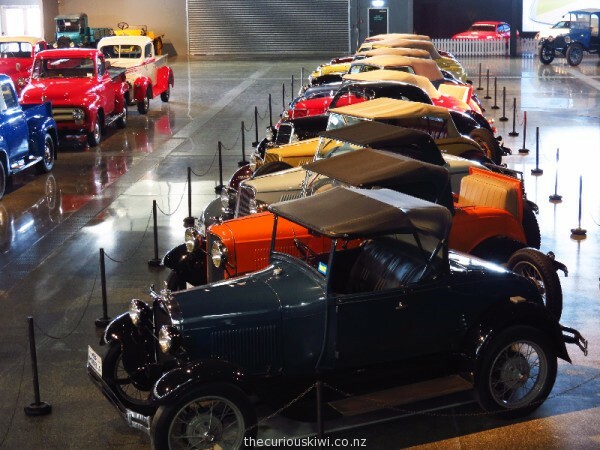 That someone was his daughter Jocelyn, she was a driving force behind the development of Transport World and also shares her late father’s hobby of collecting, her pedal cars and Volkswagen Kombi vans are on display. More than 200 vintage trucks and 100 petrol pumps join the Kombis along with the ‘most complete collection of Ford’s first models in the world’. 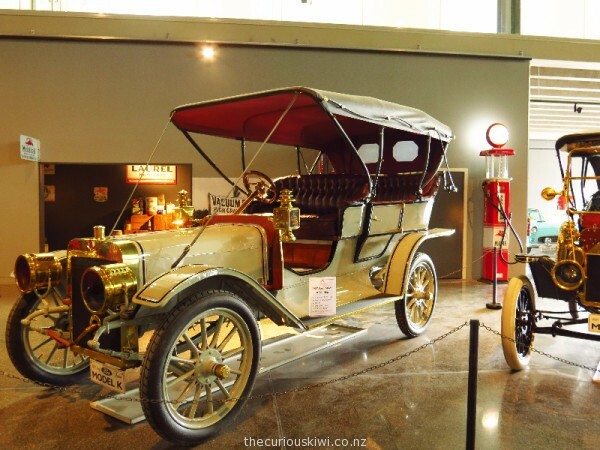 The only ‘letter’ car missing from the collection is the rare Model B. I liked the cream 1907 Ford Model K Touring, introduced to the Ford range as a luxury option, it was produced between 1906-1908. 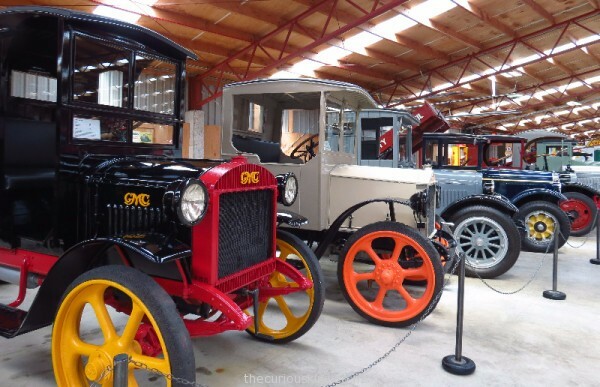 The Model K is worth around NZ$89,000, and only eight have been restored. The red, white and blue 1925 REO F Speed Wagon also caught my eye. If the name sounds familiar, you too may remember the 80’s hits ‘Keep on Loving You’ and ‘Can’t Fight This Feeling’ by the band of the same name. I was curious to know if there is a connection, there is, the band is named after the REO Speedwagon flat bed truck. The brand REO came from Ransom Eli Olds, the founder of the Olds Motor Vehicle Company. 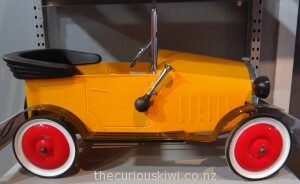 I also recognised the silver bull dog ornament on a shiny orange 1932 Mack BG truck. The bull dog was used for the first time on this model, a mascot that’s now synonymous with the Mack brand. 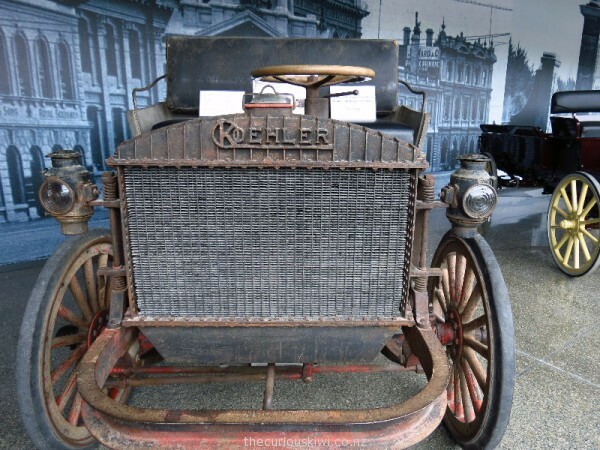 One of the oldest and most unusual trucks is the 1911 Koehler. The truck’s side view looks similar to a horse drawn wagon but the radiator and steering wheel leave you in no doubt it’s motorised. The truck came from Pennsylvania and is still in original condition. 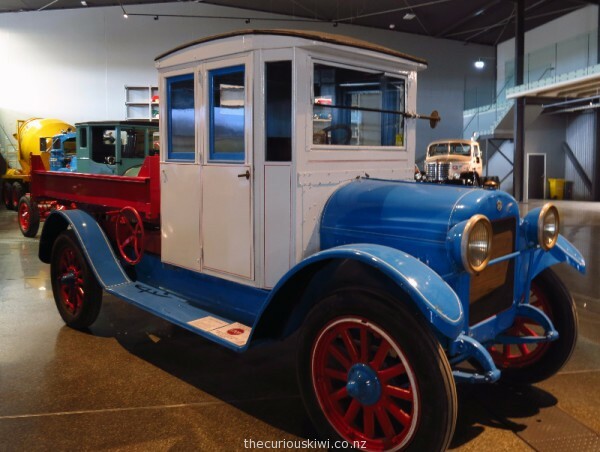 Transport World covers 15,000 square metres and although known unofficially as ‘Bill’s Shed’ it’s made up of a lot of sheds, many named in honour of those that helped Bill and shared his passion for trucks and collecting. 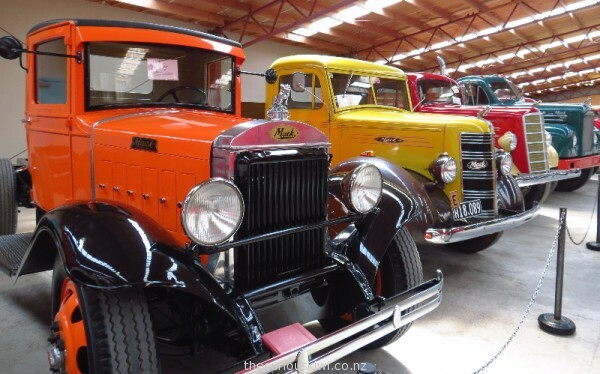 Of special significance is ‘Harold’s Shed’, Harold was Bill and Shona Richardson’s son, he worked in the family businesses and shared his father’s love of trucks. Tragically Harold was killed in a car accident in 1995. Vehicles kept in memory of Harold include a 1954 Citroen Big 15, 1971 Leyland Crusader F41 and a 1994 Kenworth T950. 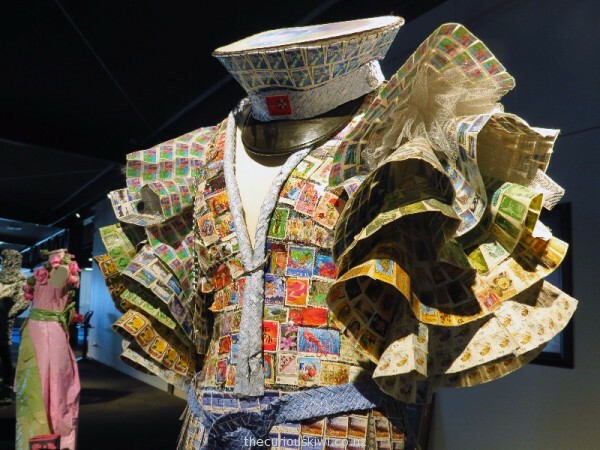 It’s not just about vehicles at Transport World though, there’s a big lego playroom for kids, and a wearable arts collection made with materials like Nespresso coffee pods, bread bag tags, and old postage stamps. There’s also a theatre showing films like Christine, Goodbye Pork Pie, and The World’s Fastest Indian based on Invercargill motorcycle racing legend Burt Munro. After learning a bit about Bill Richardson it was fitting to find out that he makes a brief appearance in The World’s Fastest Indian as Burt’s neighbour. 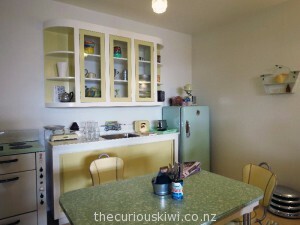 Something else worth seeing is the toilets, it’s not often toilets make a ‘must visit’ list but they do at Transport World, see two of them in 12 Unusual Toilets in the South Island. 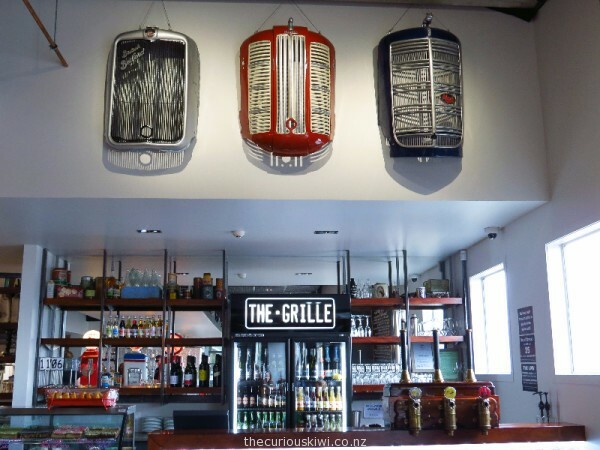 Before hitting the road you can also take a load off in the transport themed Grille Café, the perfect place to wait for wide eyed truckies. Bill Richardson Transport World is at 491 Tay Street. Open every day except Christmas Day from 10am – 5pm. Adults $25, under 5 years free, 5-14 years $15. 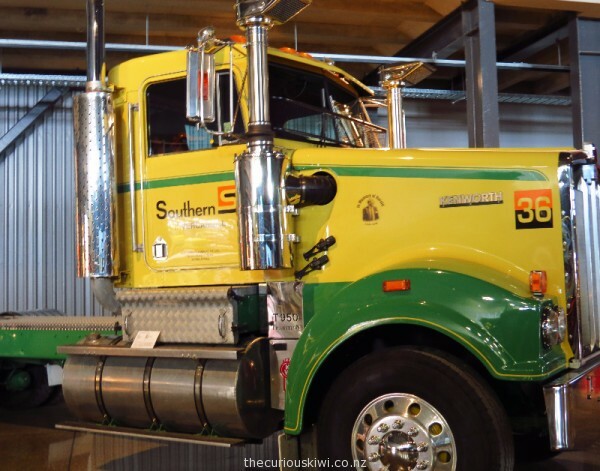 This entry was posted in Southland, Unusual New Zealand and tagged Bill Richardson Transport World, Unusual vehicles by thecuriouskiwi. Bookmark the permalink.